Our love for this childhood favorite has inspired our next Glo Girl treatment product. We are so excited to introduce a GLO GIRL EXCLUSIVE!!!! 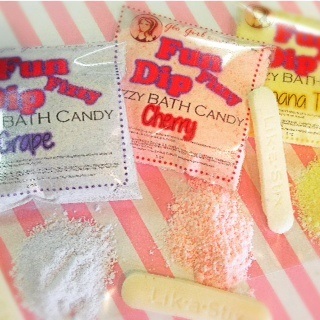 Fun Fizzy Foot Dip kit! As with all of our products, this bubbling treat can be blended as a manicure/pedicure treatment or for personal bath and body use. Our customers know.. Glo Girl is all about providing fun and unique products/treatments. Our products are also popular with mommy's. 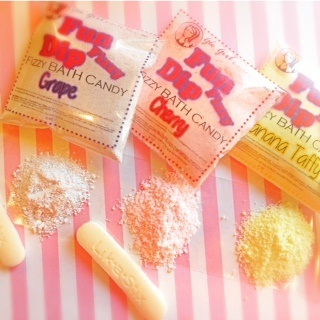 Our fun creations are known to lure little rug-rats into bathtub (it worked on our kids too). Now your inner-child can soak in sugary goodness without the guilt of cavity creeps! To Use: Fill a tub or basin with warm water. Pour the Fun Fizzy Dip into the the water...the bubbling action releases the skin softening oils. Soak in this skin savoring, silky, sweet treat! 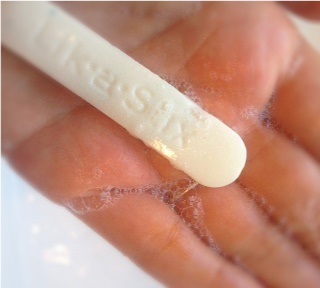 Next you can slather with the sugary sweet stick.. Or if you chose the bubbling bomb... Dip the stick in the water and watch it fizz away, releasing the skin nourishing goodness! This is such a FUN treatment.